New dive watch Nautica. U.S. brand Nautica introduced another new product. U.S. brand Nautica introduced another new product. This stylish watch strap with a bright image on the face of the flags of different countries. 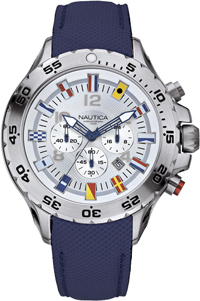 Like the previous model, the brand, the new Nautica embodies the true spirit of the lovers of the sea. 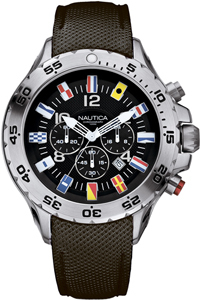 New from Nautica – a classic sports watch. They have the massive case diameter of 44 mm and a bright rubber strap in black, white, yellow, red or blue. Housing is rotating ring, which is covered with fluorescent material. Typical of the Nautica arrows with reflective coating ensures excellent legibility and display even in the dark.